Some Concealed-Carry Advice | Eagle Gun Range Inc. If you carry concealed, you’ve doubtless read lots of advice for dos and don’ts. Here are a few that you might not have read about or considered. I hope you find them helpful! Keep as much kit as possible on your belt (to free up pockets). Since, as a concealed carrier, you went to the trouble to get a good-quality stiff belt it makes perfect sense to exploit the benefits of that belt to make it easier to carry your EDC (everyday carry) kit. 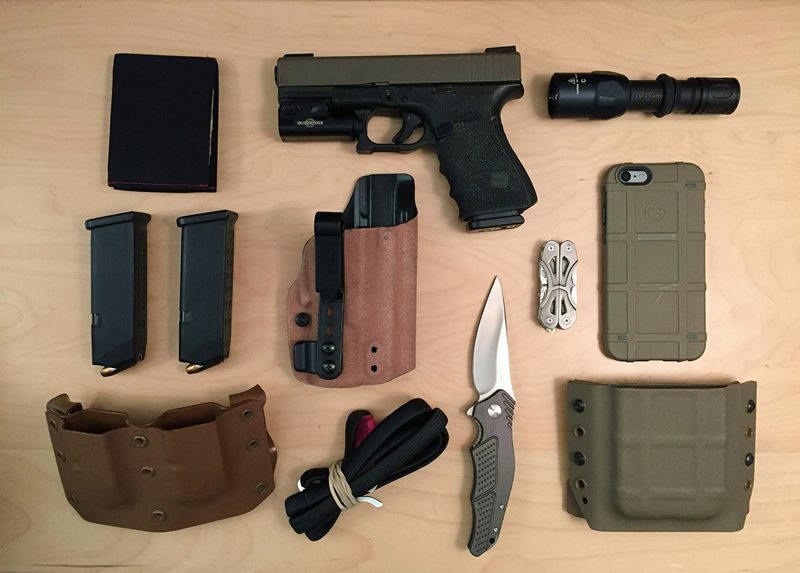 Advisable kit in addition to your carry pistol includes at least one spare magazine (two is better), a pocket and/or fixed-blade knife, a tourniquet, a flashlight, a phone, and maybe even a multi-tool and IFAK (individual first-aid kit). That’s a lot of stuff in addition to your wallet and keys. Unless you’re wearing 5.11s every day it’ll be difficult to keep it all just in pockets! Since most of these EDC items are weighty for their size, they can greatly encumber your trouser pockets and will damage them over time. It’s best to use your belt to carry as much of it as you can manage. There are good belt/holster options for phones, knives, tourniquets, and especially pistol magazines. These items do not create much of a printing (revealing) hazard and they travel far better on your belt than in your pockets. Give it a try! Carry at home all the time. If you’re going to carry concealed, it is best to carry every waking moment. When you’re at home, you’re often doing any number of things outside your home from time to time, like doing yard work, taking out the trash, relaxing in the back yard, fetching something from the car, etc… Instead of putting on your pistol every time you decide to perform a quick errand, be smart and just keep it on. People are attacked inside their homes and in their yards and driveways all the time. You do not want to be unarmed when that happens. Home invasions happen every day and at every time of day and night. Even if you have staged weapons in your home, you cannot pick your location when three or four armed thugs kick down your front or back door. When you’re unarmed, you live at the whim of criminals who will take your life or the lives of your family. I believe it is irresponsible to leave your life and your family’s life to chance like that. So stay armed every waking moment. If you’re going to carry, carry. Or are there moments of your day when it’s okay for someone to take everything from you? If you’re fit, consider appendix position for carrying your pistol. Carrying concealed in the 3 to 5 o’clock positions can be quite comfortable, but those positions present some obstacles to defense, retention, and concealment. Carrying AIWB (appendix inside the waistband) is superior for addressing all of those issues. The appendix position offers a far easier and more natural location for getting your weapon into the fight, and is faster to do so from that position. It’s also far easier to defend against someone trying to get to your weapon. Moreover, the appendix position conceals far better than any other waistline position…if you have the frame for it. Appendix position is not best suited to those who have a larger gut and it can be more problematic for those who wear their shirts tucked. Mostly, however, AIWB is a bad choice for someone who does not train regularly. 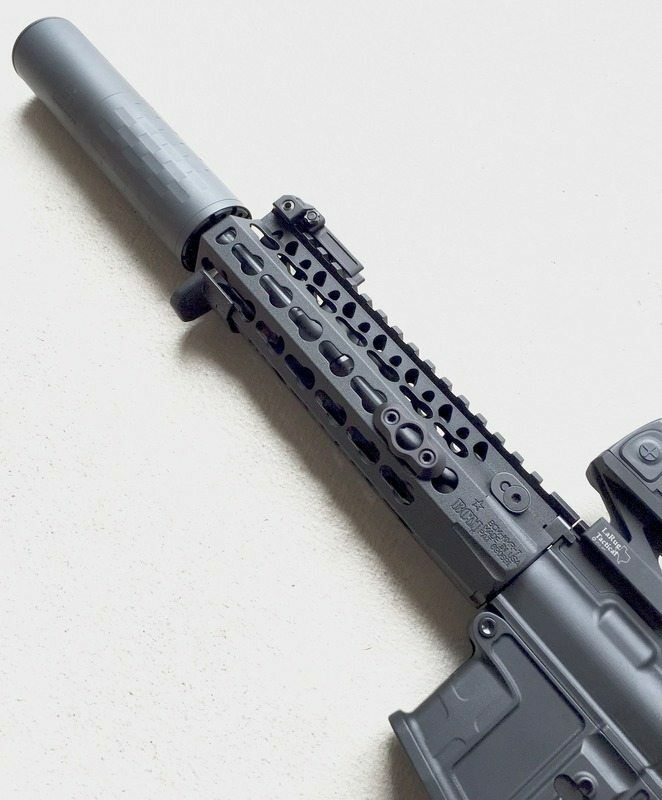 If you’re going to carry in the appendix position, it is imperative that you train regularly from concealment with dry-fire and live-fire drills every week. You want to forge incorruptibly safe habits because a mistake of negligence while drawing or re-holstering in the appendix position could prove fatal. If you’ve got these bases covered, however, AIWB is a far superior carry position in most cases. When training at the range, always practice reloads from your spare-magazine carry position (pocket or mag pouch) as a matter of routine. This one is easy. Whether you’re at a strict indoor range or at a tactical-style outdoor range, all of your precision and practical pistol drills should include reloading from your normal spare-magazine position. If you’re going to shoot, say, strings of 5 for precision, have one magazine in your pistol and one magazine in your normal carry position and when you’re done with the first magazine, perform a speed reload and continue. This is an easy routine to work into your normal training. It helps to forge solid habits and exposes problems with your technique and carry method. Know the laws & keep up with changes. Laws change and if you’re going to be a law-abiding citizen you’re responsible for keeping up with them. The fact that you carry a firearm on a daily basis means you’re held to a higher standard and you’re generally subject to more liability. Stay informed by frequenting industry and gun-law weblogs. Also, each state has an online reference for its gun laws. Make a habit of checking up on a periodical basis. Wear patterned, and/or dark shirts. No matter where or how you carry your pistol on your belt line, your shirt will move and settle from time to time in a way that indicates something is under it. Since revealing that you’re carrying a handgun is in poor taste, often illegal (depending where you live), and always defeats the purpose of carrying concealed, you’ll want to mitigate these events. Dark colors and especially patterns help to conceal the outline of a pistol grip in cases where a light-colored, un-patterned shirt will make it obvious. Dressing around the gun is an important conceit and needn’t be overly constraining. Being relegated to darker colors and patterned shirts is a small price to pay for peace of mind and better concealment. While carrying concealed i would definitely considered the do’s and don’t. Really i found the blog very helpful. Thanks for sharing. Looking forward for more blogs. I would love to read a review about concealed carry for women with chest or leggings holsters. I didn’t know that each state has an online reference for its gun laws. I am thinking about getting my concealed carry permit because I think it would make me feel a lot safer in my day-to-day life. I think keeping up with the laws to make sure that you’re doing everything legally would be a really important part of being a responsible concealed carrier.